Northern Broadsides has announced that Laurie Sansom will succeed Conrad Nelson as Artistic Director and CEO in June this year. Laurie was the Artistic Director of the National Theatre of Scotland 2013-16, for whom he directed The James Plays trilogy by Rona Munro in an unprecedented collaboration with the Edinburgh International Festival and the National Theatre of Great Britain. They were then seen across the UK and in Australia, New Zealand and Canada. 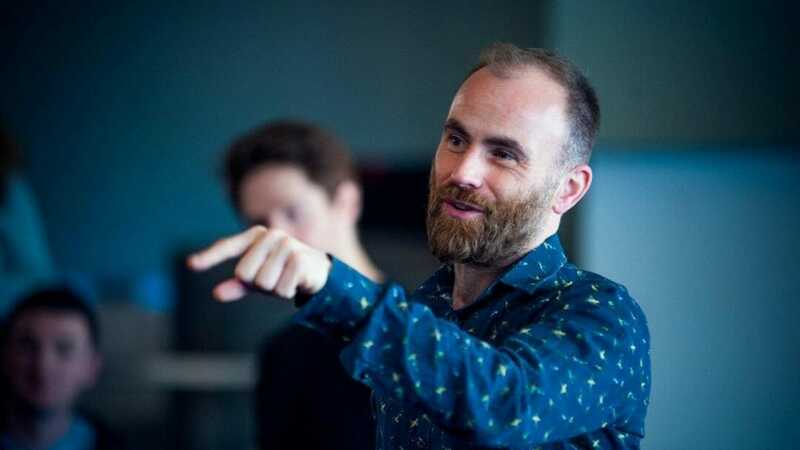 Whilst in Scotland he also directed his own adaptation of Muriel Spark’s The Driver’s Seat, and The 306:Dawn, a new site-specific piece of music theatre for the 14-18 NOW’s cultural programme to mark the centenary of the First World War. Previously he was Artistic Director of Royal & Derngate, Northampton where he directed the European premier of Tennessee Williams’ Spring Storm and Eugene O’Neill’s Beyond the Horizon, which both transferred to the National Theatre, London, and won him the 2010 TMA Award for Best Director. He also directed new versions of The Bacchae, Blood Wedding and Hedda Gabler as part of the London 2012 Cultural Olympiad, Frankenstein (with Frantic Assembly), The Duchess of Malfi, Follies and The Prime of Miss Jean Brodie. At the Stephen Joseph Theatre, Scarborough, he was the Associate Director to Alan Ayckbourn, where he directed over twenty new plays including Villette (with Frantic Assembly) and a season comprising of three new micro-musicals. He has directed for theatres around the UK. His production of Dangerous Corner for the West Yorkshire Playhouse transferred to the Garrick Theatre, West End and he has also made work for the New Vic, Newcastle-under-Lyme, Birmingham Rep, Salisbury Playhouse, The Lyric Hammersmith, the National Theatre, The Bridge, Hampstead Theatre, The Menier Chocolate Factory and the Watford Palace Theatre where he was the Arts Council Trainee Director. Laurie Sansom’s first production for Northern Broadsides will be in Spring 2020 and will be announced later in the year.